Learn how to create tremendous abundance by realizing your higher purpose. This FREE, ready-to-download eBook will teach you the powerful principles and methods to transform your life and create abundance. 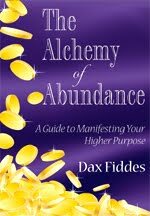 CLICK HERE TO DOWNLOAD THE ALCHEMY OF ABUNDANCE FOR FREE HERE!